Specializes in aquatic weed and algae control using approved herbicides and algaecides in lakes and ponds. Aqua-Weed Control Inc. specializes in aquatic weed and algae control using approved herbicides and algaecides in lakes and ponds throughout Michigan since 1975. Aqua-Weed Control Inc. employs certified applicators licensed by the Michigan Department of Agriculture. Aqua-Weed Control also offers water quality testing, lake consulting services, and aquatic product sales. 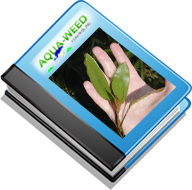 Aqua-Weed Control staff are members of many professional associations and organizations. Aqua-Weed Control is ready and willing to serve you. Click here to learn more.